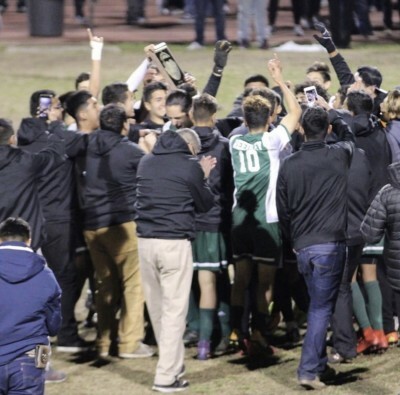 February 23 at the Mineral King Bowl in Visalia, all was at stake for the Reedley High School Boys’ soccer team. Against the Redwood High Rangers, the intensity increased after every move. 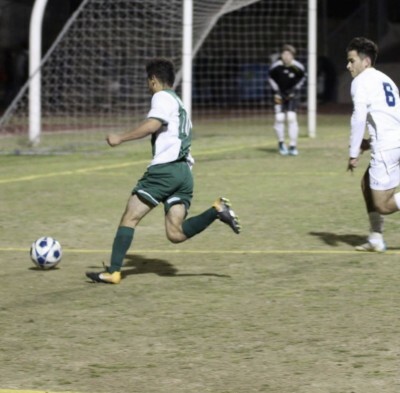 Sophomore defender Rene Prieto made his mark by scoring two goals for the team, and with a phenomenal block from the RHS boys’ goalkeeper Marco Leyva, they won 5-4 with tears of joy streaming down their faces. The crowd rushed the team with cheers of victory and praise, as the young men stood beaming in disbelief at what they had just accomplished. The Pirates had just become Valley Champions. Eric Velarde, head coach for the boys, states that they were full of motivation and dedicated themselves constantly to working hard each season in hopes to accomplish what they did that night. “The boys worked hard during the entire offseason and truly deserved to be Valley Champions. They made it their goal to win a valley title for Reedley and spent countless hours in the gym, improving individually, and as a team to reach their goal. 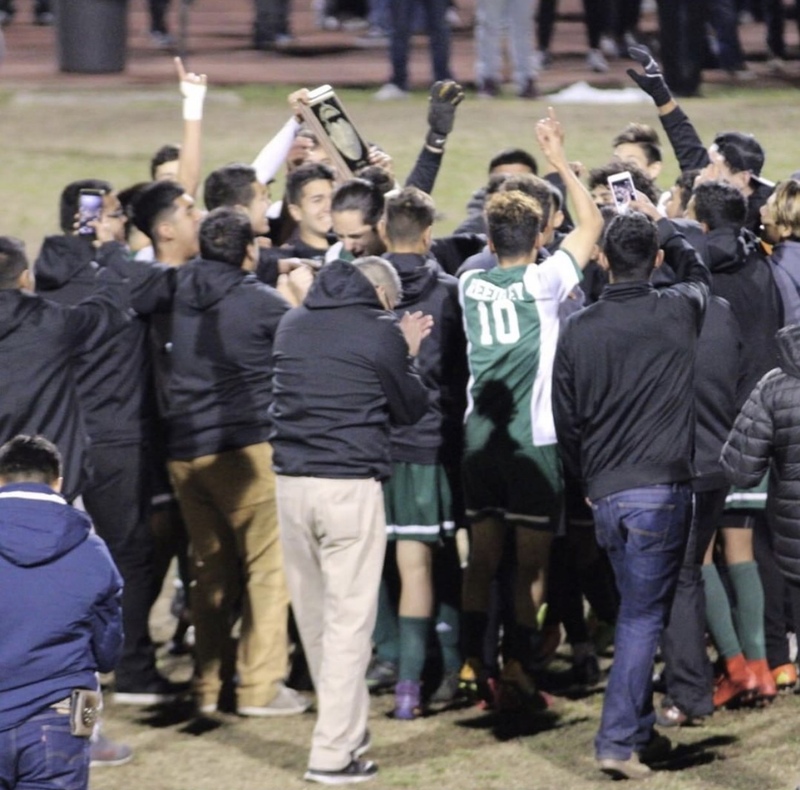 We practiced the entire offseason beginning with spring break last year and into the hot summer months with many of the boys going to practice after having woken up at 4 a.m. to work in the fields and still committing to what they set out to do.” The RHS team is full of ambition and exceptional young men who have worked hard to bring Reedley home another championship. The team received overwhelming support from parents and the community, as many people attended, truly making it feel like a home game. Before that, the boys had won the semifinal at home, and many students who wanted to support their team on the big day filled two school buses. “The team celebrated with many former players and community members which made the evening even more special,” said Velarde. Now the boys are even more driven and are ready to come back and work just as hard next year with a strong core team. The team is preparing for next season in just a month and are excited and looking forward to bringing home another championship title to Reedley.